Sri Lanka Freedom Party (SLFP) General Secretary and Parliamentarian Dayasiri Jayasekara said the Prevention of Terrorism Act (PTA) should be in place to deal with the latest forms of terrorism. He was addressing the media at the SLFP headquarters yesterday. The General Secretary further said that there should be certain timely modifications to the Act but it should be in place to fight against modern terrorism. He said that terrorism has now linked with novel technology and tactics and therefore the Prevention of Terrorism Act should be enforced aiming to meet the challenges of modern-day terrorism. Jayasekera said the Prevention of Terrorism Act is strongly utilised in most of the countries especially in countries, which level human rights violation allegations against us. “Democracy will be affected through the implementation of the new Prevention of Terrorism Act,” he said. Speaking on the allegations of human right violations, the SLFP General Secretary said that international forces are allowed to interfere with the country’s internal affairs through accepting co-sponsorship of the human right violation proposal presented to the United Nations’ Human Right Commission. “By acceptance the co-sponsorship of the proposal, the sovereignty of the country could be affected as external forces can intervene in the country’s internal affairs unnecessarily,” Jayasekara added. “As an outcome of the way the government react for the human right violation allegations, the sovereignty, judiciary and several other internal sectors have been affected” he said. “The SLFP believes that a significant amount of lives on both side were lost by terrorism. Besides, civilians of all races, were among them. Then, it is not ethical to talk about only one side as there were incidents from both sides,” he further said. “We need to amend the proposal and get rid of those allegations of human rights violations. But, with the way the government behaves, it symbolises that no action has been taken yet to get rid of these so called allegations”, he added. Jayasekara said that the government with the assistance of experts should take a prompt decision about how to react to the UNHRC decisions. “The Prevention of Terrorism Act should be in place since it has been noticed that terrorism has changed to most modern ways than the traditional methods such as guerrilla attacks. Therefore, the Prevention of Terrorism Act is a must to curb the modern forms of terrorism,” Jayasekara added. SLFP Publicity Secretary MP Ranjith Siyambalapitiya said that the government has no proper mechanism to increase its revenue to Rs.365 billion as the budget predicted. “There is no mechanism to increase state revenue than increasing taxes to meet the target of Rs 365 billion. To reach this target, the tax amount should be increased to 21.5 percent as Rs 1 billion is needed daily to reach the target,” he said. Siyambalapitiya said government revenue is not sufficient to pay back loan installments. However, many budgetary concessions were implemented targetting elections. 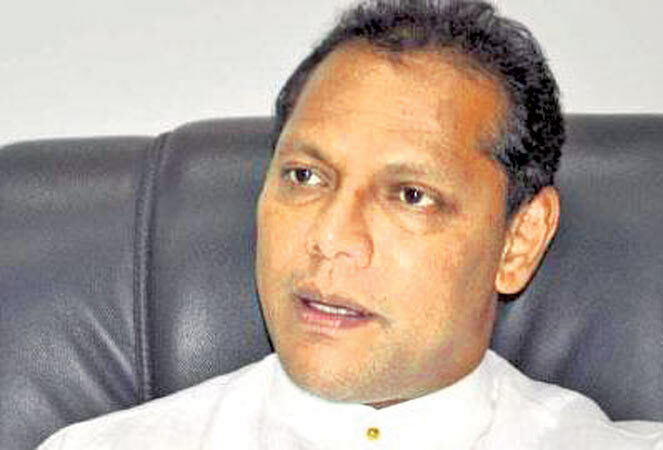 Responding to a question, MP Jayasekara said that the Sri Lanka Podujana Peramuna and the SLFP should join hands to form a broad alliance to contest the next Presidential election. An election victory can be achieved only by forming a broad alliance.